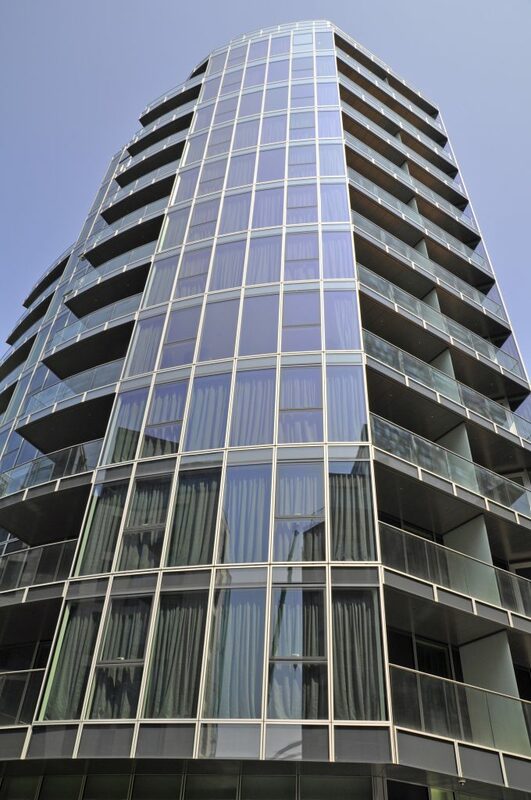 Another successful collaboration between aluminium building systems supplier, Hueck UK, and facade contractor McMullen Facades Ltd, a Lakesmere Group company, has recently seen the completion of one of south west London’s new landmark buildings, The Pinnacle. Rising 170 feet high, the tower construction delivers 88 new luxury apartments, including a number of penthouses, with impressive views of the City. 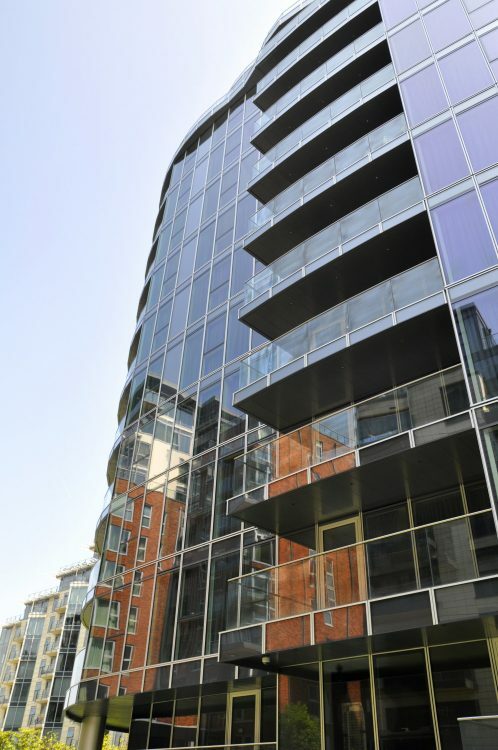 Developed by St. George PLC, this 15-storey building is the flagship high-rise within its award-winning riverside project, Battersea Reach. 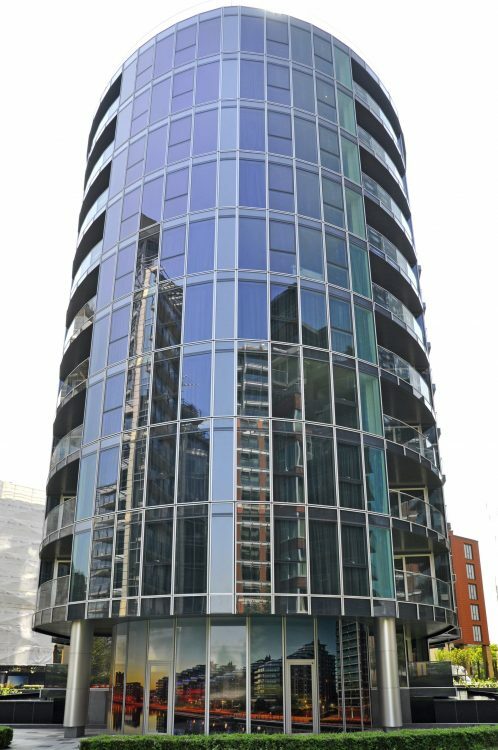 The Pinnacle’s fully glazed curved façade has been manufactured using the high performance Trigon L aluminium system from Hueck. 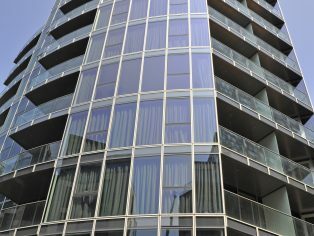 Highly versatile, this unitised facade system lends itself to a wide variety of curtain walling designs. Approximately 1,300 unitised panels shape The Pinnacle’s striking curved envelope. Aside from Trigon L, the building also boasts nearly 180 Lambda 65 windows and doors. Featuring low thresholds, the doors comply with the Life Time Homes standards, and achieve an impressive 600Pa air permeability/water tightness. Hueck’s popular Volato M lift/slide doors have also been specified for apartments and penthouses opening into private balconies or terraces. For more information visit www.hueck.com or call 0044 121 7671344.